Ophelia Lovibond was born on 19th February 1986 in Hammersmith, London, England. 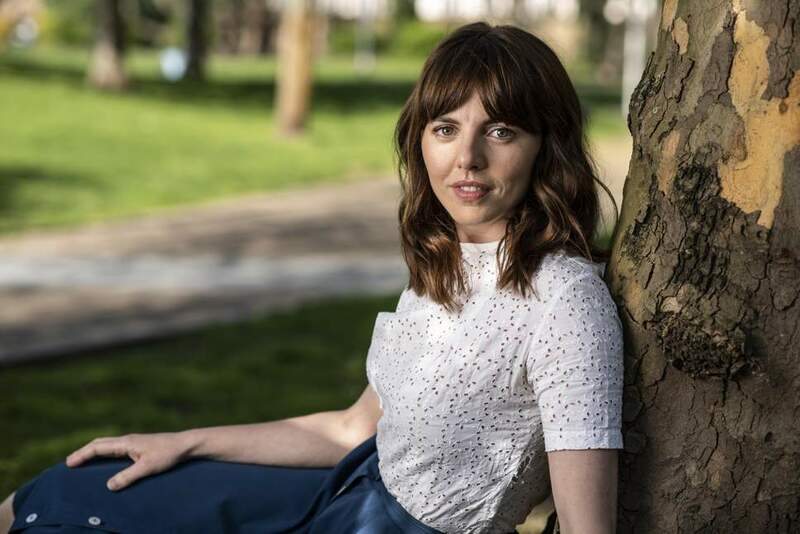 Her birth name is Ophelia Lucy Lovibond and nickname Fifi. She was raised by a single mother in Shepherd’s Bush, London. Her mother used to work as a Chartered Psychologist at Wormwood Scrubs Prison. She was raised along with her two siblings but there is no detail information is available. Likewise, she studied Latymer Upper scholar in scholarship and she attended the University of Sussex to study English Literature and graduated from there in 2005 with a first class degree. Ophelia holds British nationality and belongs to English ethnicity. She has 5 feet 2 inches height and has 52 Kg weight. She has light brown hair colour and has hazel eye colour. Her zodiac sign is Pisces. Ophelia Lovibond began her career when she made her first television appearance in “The Wilsons” at the age of 12. To get that role, she lied about her age. She appeared as Izzy Gould in the BBC satire “W1A”. She played the role of Kitty Winter in the season 3 of “Elementary” and she reoccurred in episodes 15 and 16 of season 3. Lovibond debuted in film from “Oliver Twist” in 2005 and she played a part in the John Lennon biopic “Nowhere Boy”. Her remarkable films include “4,3,2,1”, “London Boulevard”, “No Strings Attached” and “Mr. Popper’s Penguins”. She portrayed the role of Carina in the film “Gurdians of the Galaxy” in 2014. She appeared as a lady Alexandra Lindo-Parker in the series “Hooten and The Lady” in 2016 and in the meantime, she also appeared as Elizabeth Barry in “The Libertine”. Additionally, There was a rumor regarding the separation of Ophelia with her boyfriend Tom Hughes and the reason was that he cheated on her with dating Jenna Coleman. But neither the relation between Ophelia and Tom is confirmed nor between Tom and Jenna Coleman. The 32 years old, is currently single. She has not revealed any information about her dating life and about her relationship. However, it is heard that she had an affair with Tom Hughes in the year 2001 but neither of them has confirmed. The British actress, Ophelia Lovibond has earned the decent income from her career. She has a net worth of around $2 million USD. Ophelia is active on social media.